Mystery Media Player: PMPevent's Concept A1 | OhGizmo! No one seems to be entirely sure if this thing actually exists, or just where it comes from, other than it seems to broadcast its seductive devil energy from that far away mythical region known as Korea. The fact that the word “concept” crept its gloomy little way in this discussion is somewhat disheartening, but hey, who knows, maybe this thing’ll see the light of day. 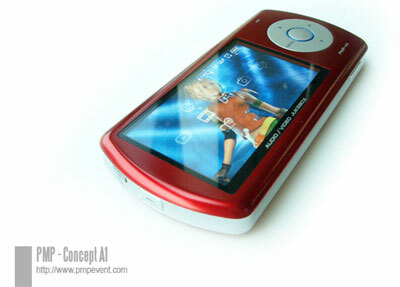 What it is, is a gorgeous media player from company PMPevent. It has a bunch of features that should make you salivate. Ready? Now you know something is really funky when your media player includes GPS. Yup. GPS. Don’t know what for, but there it is. No, no price. No price my friends. Check it out (in Korean this time) here. Story VIA DAPreview. Now why does the LCD show an image of what looks to be the PSP OS?